IBM AI marketing- IBM is hard at work trying to disentangle the concepts behind artificial intelligence (AI) to clients, explaining to them how the technology makes decisions. Eighty-two percent of C-suite executives it researched said they wanted to use AI but were concerned about unconscious bias and the skills needed. It’s offering AI for a range of services and has implemented it itself in areas such as recruitment where it’s used to make sure there is no bias in how job descriptions are written, according to IBM Senior Vice President and Chief Marketing Officer Michelle Peluso. There are several ways marketers can best use AI, Peluso said. The first is in getting to know customers. “It allows us to understand more about our customers. We can analyze tone. We can listen in on chat bots, we can analyze personality and social (media), so we have the ability to develop a richer understanding of our customers,” she said. AI is also being used in how businesses interact with their customers, allowing chat bots to answer customer service queries, for example. The nature of advertising — where traditionally messages are broadcast to people one-way — could also become more of an interaction. “We can say in a digital ad (for example) what’s in your refrigerator … And (it will) give you a great recipe, or (AI can) tell us why you’re interested in a certain car. And we’ll tailor the content live to make sure you’re getting the answer, so it will change (so the advertising is) actually interacting … with customers,” Peluso said. AI might also help businesses predict what customers want. “(We are) growing an immense amount of data (that) is almost overwhelming and we need artificial intelligence as marketers to help us understand what our next best action is for our customers,” she added. She emphasized that AI is in its infancy, and that IBM focuses on data privacy and that any insights generated by the technology belong to its customers. “We don’t have one master algorithm that everybody’s training and so your data, your intelligence may end up being used by a competitor,” she said. 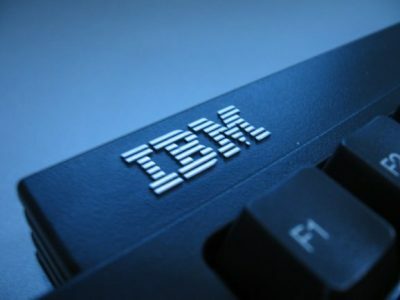 IBM’s Watson computer gained notoriety in 2011 when it beat two champions at the quiz show “Jeopardy!” and its Deep Blue computer beat chess champion Garry Kasparov more than two decades ago. The post How IBM is using A.I. for marketing appeared first on erpinnews.